Liposuction is a minimally invasive cosmetic procedure used to remove localized areas of fat from the body through a small thin tube called a cannula. The fat from the targeted area is suctioned from the body through this tube to help patients achieve a slimmer and balanced appearance. During your initial consultation with Dr. Harrison he will help you define your goals and set safe, realistic expectations. Liposuction removes fat but does not tighten your skin. Despite good health and a reasonable level of fitness, some people may still have a body with disproportionate contours due to localized fat deposits. These areas may be due to family traits rather than a lack of weight control or fitness. Liposuction slims and reshapes specific areas of the body by removing excess fat deposits, improving your body contours and proportion, and ultimately enhancing your self-image. What You See- If a piece of fruit or food (pear or donut) is the best way to describe your body shape and you find certain areas of your body adversely affect the fit of clothes then the reshaping tools of liposuction can help. 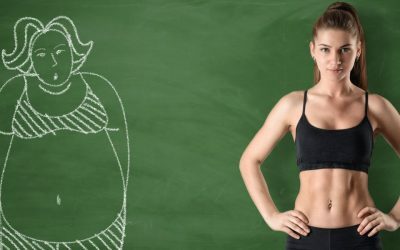 Weight loss will change your body size but not your shape. Liposuction removes fat but will not tighten skin. Best Candidate- If you’ve struggled with an unbalanced body shape and exercise/diet just haven’t given you the dramatic transformation you would like, liposuction can help. The best candidates for liposuction surgery are patients who have realistic expectations, are physically & psychologically healthy, non-smokers, have good skin tone, at a stable weight and those who can afford some “down time” for recovery. Liposuction is not a weight loss procedure and Dr. Harrison recommends patients achieve their best weight before considering this sculpting procedure. Patients who have achieved massive weight loss (more than 50 pounds) resulting in excessive skin folds will need body recontouring and not liposuction alone. Before Surgery- Prior to your first appointment you will be asked by the staff to register on My Touch MD, watch relevant videos and read information about the procedure you desire. The surgical consultation with Dr. Harrison will take about an hour. A surgical plan and a discussion of your goals will be agreed upon at this time. Photos will be taken, a detailed medical history and physical will be discussed and we always leave time for you to ask questions. Relevant consent forms will be emailed to you for review. After your surgery is scheduled you will have a pre-operative appointment to sign consent forms, review the surgical plan, receive prescriptions, discuss pre/post operative written instructions, have blood work done and make any final payments. You will also be fitted with a surgical compression garment that is to be worn post-op 24 hours a day for the first 2 weeks, then 23 hours a day for the remaining 4 weeks. Yes, you will even shower in it for the first 2 weeks. The Surgery- This procedure can be performed in the office, but larger volume areas are best surgically treated at the hospital day surgery center. When more than 5 liters of fat is removed Dr. Harrison will require an overnight stay in the hospital for monitoring. The length of time the surgery will take is proportionate to the number of areas to be treated. For example if only the flanks are to be suctioned then surgery should take about 1-1.5 hours. Liposuction is a minimally invasive cosmetic prodecure performed to remove localized areas of fat from the body through a small thin tube called a cannula. The fat from the targeted areas is suctioned from the body to help patients achieve a slimmer and balanced appearance. The only incisions are small puncture wounds used for the cannula insertion which are closed under the skin. The compression garment is placed on you at the conclusion of the procedure. After Surgery- You will need to have made arrangements for transportation home from the hospital and someone to assist with your care. This is a day surgery procedure if less than 5 liters is removed, if not combined with a tummy tuck or other plastic surgery. After two days, remove the topifoam from beneath the garment before showering. Your post-operative appointment will be in 2 weeks, at which time you will be fitted with a second (usually smaller) compression garment. Endermology treatments at the office begin 3 weeks post op to help reduce swelling. There are no sutures to be removed. Getting Back to Normal- Swelling, soreness, tenderness and numbness should be anticipated for several weeks. Most patients feel like returning to work after only a few days recovery. You may resume light activity and non-jarring exercise (no running) after 3 weeks. Full activity can resume 6 weeks post op when you have come out of your garment. You will not see your final results from liposuction for 3-6 months. So resist the urge to buy a whole new wardrobe right at first.